No matter how much you earn, there are some needs that you can't afford your current income. At least, not in a lump sum. Many banks and lending firms have recognized this problem of an individual and have introduced personal loans as their way out. Yes, personal loans are curated in such a way that you can avail a specific amount of money from the bank or other lending firms for different purposes which are not specified by the lenders at a condition that you will repay all the money in addition to the predefined interest rates as EMIs to the lenders. Basically, these kinds of loans are classified as unsecured loans for which you just need to convince the lender about the surety of the repayments. In short, you don’t need to provide any security such as property papers or any other belongings. The lender can determine the potential of your loan repayment capability on the basis of your current and past income details or bank statements. As the interest rates on personal loans are quite higher compared to other secured loans, the borrower must understand their requirements and then thoroughly decide if they could pay those high-interest rates before applying for a personal loan. Most of us are used to follow a lifestyle that leads us to pay huge debts that comes out of mortgages, car loan and others. The credit card is considered to be a style statement and offers many salient features that come with a burden of regular monthly repayments. These regular bill payments eventually drain out all your monthly income leaving just a little for other monthly expenses. These regular bill payments include utility bills like electricity, phone and internet as well as other important expenses such as grocery shopping for the whole month. While you’re recovering paying all those bills, there comes an emergency situation such as repairing your vehicle, medical expenses or some other important stuff which could completely disturb your budget planning. In this scenario, personal loans come to your rescue. For emergency bill payments, there’s no other option left other than applying for a personal loan. There could be nothing great that building a home of your own. However, the work doesn’t end once you got your own house. There are many factors such as maintenance, immediate repairs or renovations that could put a hole in your pocket. Residential property is a big investment and for that matter, a long-term investment. To get the best return out of your investment, you must make sure to maintain your property as if it looks fresh as new always. But after paying all the bills, there’s hardly any money left for bearing the expenses of home improvements. At such instance, you may apply for a personal loan from a bank or other lending firms and stay tension free about your house as the loan will take care of all the expenses coming out of the home improvement costs. Most of us are not blessed with great financial assets or cash on hand. For bigger investments such as residential property or office, you required a lot of cash for the initial down payment or booking amount. Even if you apply for home loans at the bank, they would only offer 80% of the total value of the property as a loan whereas the other 20% has to be managed by you. In India, it is considered as a wise choice if you opt for an owned house instead of a rented one. So many individuals work hard to buy a house even if it means that they must go for a big home loan. Among them, the ones who don’t have money for the initial deposit or down payment opt for personal loans as it requires no security or other liabilities compared to other secured loans. Once in a while, everyone deserves a long holiday or vacation. However, as the time passes, the travel expenses are reaching an ultimate high and it is difficult nowadays to save money for travelling. As the saying goes, “All Work and No Play Makes Jack a Dull Boy”, travelling or outing is essential to lead a healthy and happy life. The head of the family realizes this fact correctly and try to manage the funds from personal loans to book a vacation for their family. Ill fate can be struck anyone and result into serious damage to property or vehicle. As discussed earlier, such urgent repairs can cost a lump sum. 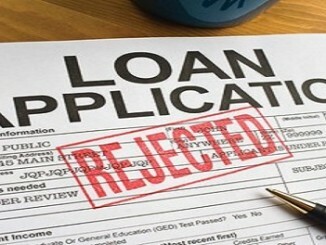 The personal loan is the only alternative if you don't have cash in hand to recover those urgent repairs. This is one of the major reasons why many of us opt for personal loans as these costs are immediate and struck without any warning. I request you to check yours for creditshastra faster loan approvals.